If you want to learn how to hide your IP address, you’ve come to the right place. Below are some useful tips that actually work so you can browse the web in peace! Now… we’re not going to ask why you want to hide your IP address or why you want to know how to hide an IP address. Although most people have a legitimate reason for doing so, not everybody does. We’re big privacy advocates–we leave you to do your business! When you know what you are doing and which tools to use, hiding your IP address is very simple. That is exactly what we are going to teach you how to do here. 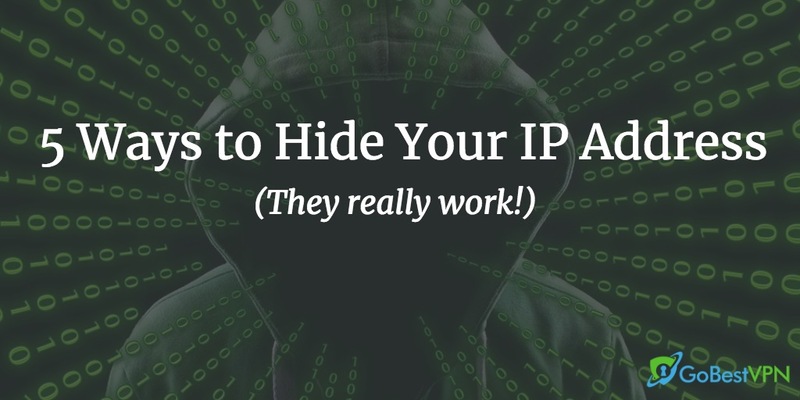 Below are 5 simple methods for hiding your IP address that are guaranteed to work. An IP address is a string of numbers unique to your network. They are separated by dots and are used to identify each and every computer or device that is using the Internet Protocol (hence the name IP address) to communicate over a network. Simply put, it enables a system to be identified and recognized by other systems. It is not just other systems that can see your IP address, though. Your ISP, government agencies, innocent third-parties, and even hackers can all come across it when it is exposed and there are many ways this can happen. When the right person gets ahold of your IP address, what they can find out about you is virtually limitless depending on how extensively you use the internet. Your identification, location, what you do on the internet, banking information, and even browsing habits can all be exposed. Therefore, it makes sense to hide your IP address when using the internet. This guide wouldn’t be much use if you had no way of checking if your IP address has changed. Luckily, this can easily be done by performing a quick Google search. Open Google and type in “What is my IP” and make note of the information that comes up. Here’s an example of the result you will be shown. You will need to know what your public or unmasked IP address is later so you can check to see if you have done everything right and that it has changed. But First—Why Should I Hide My IP Address? Stopping the collection of data by third-party advertisers. The thing is, when your IP address is not hidden from prying eyes, there is the potential for your privacy and data to be infringed by a motivated hacker or agency that has an end goal. By masking or hiding your IP address, particularly when you mask it often with an IP that is always changing, you eliminate the chance of being identified and having your internet activities monitored by third parties. These are 5 methods that anybody can use. Each one is different and has its own pros and cons. The easiest, best, and most consistently reliable way to change an IP address is to subscribe to a good VPN service. A VPN service not only hides your IP address but also encrypts your traffic and sending it through a secure tunnel. When your traffic ‘leaves’ the tunnel on the other side, it gets decrypted. To do this, you use your VPN client to connect to one of the VPN’s servers, often located in another country, with its own IP address. This will mask your own IP address by assigning the VPN’s IP to you. This spoofs your location and anybody watching your traffic will not be able to see what you are doing, and anybody looking at your IP will see the VPN’s IP. Setting up a VPN client takes but a matter of minutes. In fact, it is choosing one that is often the hardest part. Luckily, we have you covered with our VPN top list—we have spent lots of time comprehensively reviewing over 100 different providers so that you don’t have to. Many of the best VPNs offer 7 to 30-day money-back guarantees and free trials, too! Curious? Here is our guide on how to set up & use a VPN. Your IP address doesn’t travel with you, it is unique to your home network. When you connect to public Wi-Fi, therefore, you are assigned a new, public IP that cannot be traced back to you or your browsing habits. If you spend a lot of time using Wi-Fi in coffee shops and other public places, this is worth knowing. Be careful, though—public Wi-Fi networks are inherently insecure, and we absolutely do not recommend using them for anything that is private or sensitive. 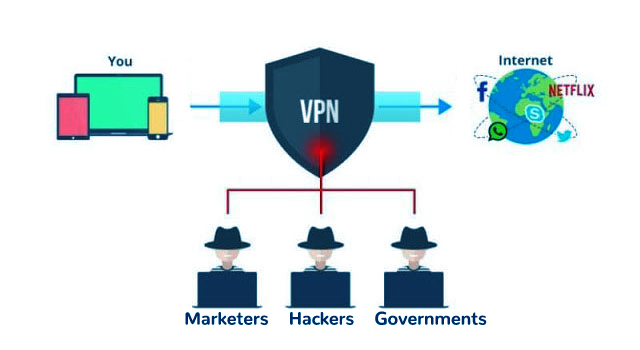 In fact, we recommend using a VPN whenever you are connected to a public network. Still, this is one of the methods you can use to temporarily have a different IP address. TOR—The Onion Router—is a free internet browsing client that, when used properly, connects you to a network of servers that anonymizes your web traffic. So long as Tor is used in line with best usage practices, you can remain anonymous most of the time without having to worry about being spied on or having your information compromised. Tor is sometimes referred to as the “dark web” (as a misnomer) because it is probably the default go-to browser for illicit activities, but let’s not forget all the people fighting oppression from government censorship. And you can also use the regular “surface web” with it, too. Some people may want to avoid using it because it comes off a bit intimidating. Using Tor is perfectly legal, and many privacy-conscious users opt for the browser to keep their information out of the hands of marketers. In fact, Tor was launched under U.S. military supervision and still receives government grants today. Most people are probably familiar with proxies from their days at high school when they were a popular choice for getting around website blocks to access sites such as YouTube. Although they are not so widely used today, they are still decent tools that can act as an intermediary between your internet traffic and its destination by changing their appearance as they travel through the proxy server. 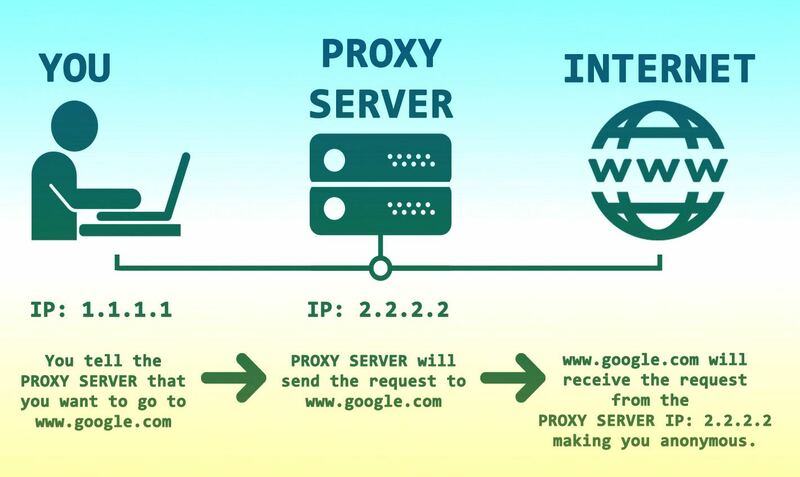 When visiting a website through a proxy, the proxy server intercepts your traffic and handles your connection to whichever site you are visiting by mirroring your behavior. So, if you want to visit, say, an American news site in China (something that would probably be blocked by the Chinese government), the proxy server would manipulate your traffic and access the website for you, mirroring all the information from the page back to you. While proxies are useful, the way they operate—as we just said, by mirroring traffic—makes them quite slow and, in some cases, virtually unusable. They don’t even come close to a VPN and we always recommend using one for virtually any situation where you want to hide an IP address, among other things. This is something you could do as a last resort or if you need to change your IP quickly but only temporarily, particularly if you think you may have been compromised. Your phone’s IP address will be different from the IP address for your home network. Most smartphones now allow other devices to be “tethered” to them. 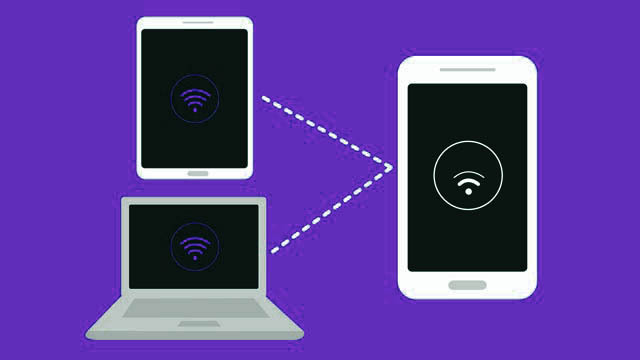 This creates a mobile hotspot on your phone that allows nearby devices to share the data connection on your phone. Note: If you do this, though, make sure that you are using your phone’s mobile data and aren’t connected to your Wi-Fi network! Tethering your laptop or computer to your mobile data is only really useful in an emergency situation. It is definitely not a long-term solution. Not only are mobile data networks unencrypted (your mobile data provider can see everything you are doing!) but it is very easy to rack up expensive bills if you don’t have an unlimited plan. Data-intensive processes can very quickly eat through gigabytes of mobile data. All the above solutions will hide an IP address when implemented properly. Remember to always, always double check that your IP address has changed when you try out one of the above solutions just in case. You don’t want to compromise yourself. Our top recommendation is using a VPN. It is by far the simplest, easiest, and most reliable way to not only change your IP address but encrypt all your internet traffic so that it cannot be collected, spied on, or intercepted by third-parties. That is, of course, if you use a good VPN. A good VPN will always do all these things without logging any of your data or usage information (this is known as a “zero-logging policy”). Best of all, they are available at budget-friendly price points. All of these can either be tried out for free with a dedicated free trial or by taking advantage of their money-back guarantees. But First?Why Should I Hide My IP Address?